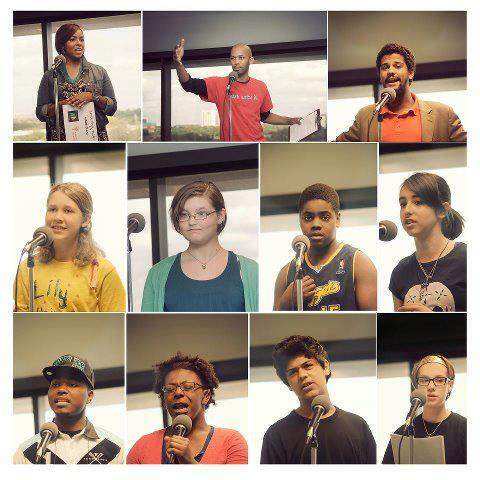 The Meta-Four poetry slam preliminaries are for ages 13-19. There are two remaining slams before the Grand Slam! Winners will represent WITS and the city of Houston at the national Brave New Voices festival in Philadelphia. Participants must recite or perform their own original poems and must attend the workshop prior to the slam in order to compete. Tell all your friends to come out and support youth poetry on Friday night! is the workshop at the neighborhood center as well as the slam? is the workshop in the neighborhood center as well as the slam? Yes, the workshop takes place first. Then the slam is immediately after that.